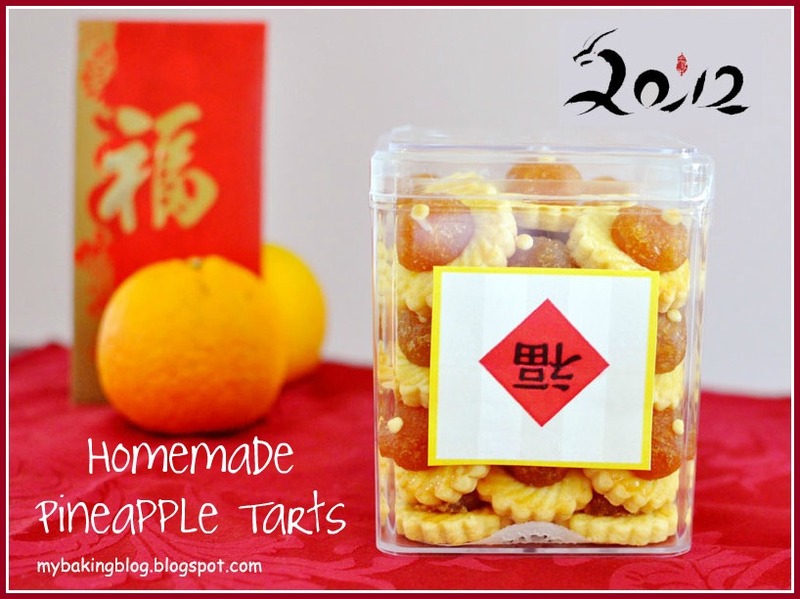 My Baking Blog: It's time for Homemade Pineapple Tarts again! The thing about making your own tarts is, after you have tasted homemade ones, you will not want to buy them off the shelves again. It is just not the same. It can be a lot more work but cooking your own pineapple jam also means you can control the sweetness, and my favourite part is that you can actually taste the fibres of the pineapples since grating by hand (as opposed to using a food processor) will leave quite a lot of these fibres behind. Also not forgetting the compliments you get from the people who tasted them will give you boasting rights for a while! There are a few varieties for the dough. Some use milk powder (anything with strong milk taste or smell is really not my type), some use custard powder, some too crunchy like biscuits, some too crumbly and the list goes on. I stick to this recipe for the dough because so far, this gives me exactly what I like in the crust - no milk powder, not too crumbly, just plain ol' butter smell and taste (so be sure to use good butter!). It's just a handful more days to the actual day itself and my cousin has asked me if there are any more refills for her pineapple tarts jar, since they have started munching on these little fellows already. Puts a smile to my face really, but all these grating gives me muscles and the next time I'm gonna make them is next year! In the meantime, Happy Lunar New Year and 恭喜发财! i think your sticker on the container is upside-down. The sticker is deliberately pasted upside down.